We are a social business that creates all-natural, handmade products, bringing good jobs and opportunities to some of the poorest families we know. We built our workshop in Las Malvinas II, a slum in the heart of Santo Domingo, Dominican Republic. Here we trained the women of the community to make the soaps of Esperanza. By giving a good jobs to women in Las Malvinas and investing in the community, we hope to empower families and give them an opportunity to lift themselves from poverty. Read more about our mission and company story. 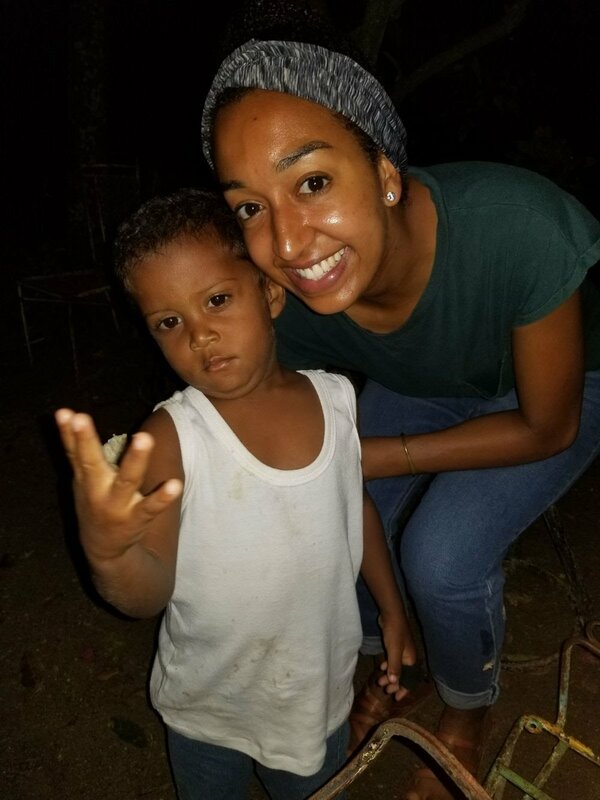 Help support Krista in the Dominican Republic! This 2018 we've taken a huge step for Esperanza in the Dominican Republic - bringing on Krista as our Executive Director for all our operations on the island! Krista Webb is a long time volunteer and since February of this year has moved to Las Malvinas to work their full time. She oversees the soap production and leads all our community involvement activities, from the Back to School program, the Handwashing initiative and the day to day fellowship with families. We are still fundraising for Krista - raising support for her daily needs and day to day operations with the company. If you wish to support her, you can donate through MercyHouse, our fiscal sponsor. Thank you! Krista training women of rural Uganda in soapmaking with Esperanza. Krista and Patrick Dibble, another volunteer of Esperanza, spent 3 weeks in September of 2017 in northern Uganda training women and prospecting opportunities for economic development with another organization called Favor Of God. Esperanza News - All things exciting! Would you like to receive our monthly newsletter? Subscribe at the bottom of the page. This June, National Geographic's magazine addressed plastic pollution and the effects it's having worldwide, particularly in our oceans. The data says we use so much plastic our waste systems are overrun and much of our plastic ends in the ocean, posing a deadly threat to wildlife. One thing they recommend to cut down on our plastic addiction: avoid plastic packaging! Bar soap was directly mentioned - bar soap does not come in a big plastic bottle like liquid soap or body wash, and it lasts much longer, saving you money! You can read the full article HERE. Las Malvinas Back to School is coming this summer! Last year we teamed with our amazing customers and provided school supplies for more than 35 kids that, without our support, would have not been able to go to school! Woo-hoo! Yes, our customers are amazing, and the women of Esperanza rise up to the occasion by finding the children with real needs, buying and distributing the supplies. This summer we're at it again, stay tuned! March 2018 - First handwashing event in Las Malvinas, FINALLY!! We received a group of 7 volunteers from Mercyhouse, our church in Amherst, in Las Malvinas for the college spring break mid March. They were such a help! 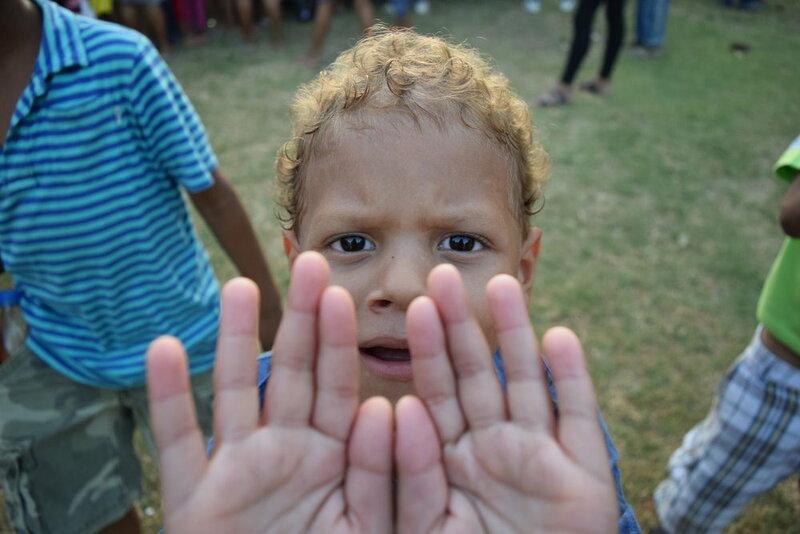 The breakthrough was our first handwashing event in the community. Since we started we have wanted to promote handwashing in Las Malvinas and supply families with soap. Handwashing has an enormous effect on the health of communties, especially in a place with no sewer system and families many time have makeshift bathrooms that place people at risk of infection or contamination. To address these challenges, this past week we kicked off our very first Handwashing event in Las Malvinas, where our trained volunteers talked to mothers about the importance of handwashing, taught kids how to wash their hands and distributed soap, good soap made right here in Las Malvinas! We will host 2 events like these a year and distribute soap quarterly from now on. This is what your purchases afford us! Thank you! New Executive Director in Santo Domingo! Krista Webb joined our Esperanza Team in Santo Domingo in February 2018 as our Executive Director. As she enters her fourth month in the Dominican Republic she's beginning to feel at home, learned a respectable repertoire of Dominican slang and taking the reigns of the day to day activities of the company. She's been crucial in securing sales and working with our soapmakers, and has brought a fresh perspective on the need to ramp up our ministry activities: how do we serve families not only materially but also spiritually. The soaps, scrubs, body butters, lip balm and other creations of Esperanza are handmade, high quality products with an inspiring & uplifting story. They're enjoyed by customers that are thoughtful; with a strong social conscience, take pleasure in gift giving and want to have a positive impact in the world with their purchases. Offer your customers amazing soap and scrubs with your brand. Esperanza custom-makes soap bars and scrubs of different varieties and quality, and we'll help you design a sleeve, box or wrap with your brand and message to appeal to your customers. Choco Museo is a Cocoa Museum and a popular tourist attraction in the Dominican Republic for whom we make Cocoa soaps. We custom prepare gifts packages for customers and employees, perfect for holidays and special occasions - celebrate a valued customer, share a gift for employees on birthdays, Christmas, Mothers Day, etc. Support Krista in the DR! News- Handwashing, new staff, and more!